In an industrial environment, intersections can be dangerous. 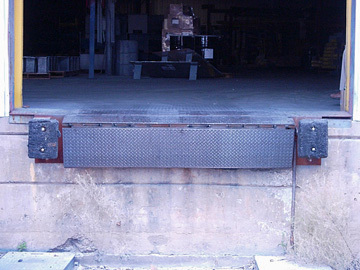 With fast-moving workers who are busy and probably distracted, and fast-moving forklifts that may have loads elevated that can obstruct the driver’s view, corners, ends of rack rows, and intersections can be the cause of many accidents. Whether it’s a worker walking and carrying a load, or a forklift on its way to the next pick, the chances of collisions, injuries, and damages are greater at intersections than most anywhere else. What are your options when it comes to making your intersections safer? Although this incident took place in a big-box warehouse store, it could have happened in any number of industrial warehouses across the country. The presence of order pickers, shoppers, or others in a rack aisle is a top safety concern, in particular if the aisle on the other side of the rack row is being restocked. Most likely this accident was caused by a push from the opposite side of the racks.